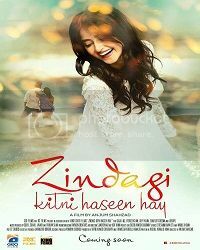 Zindagi Kitni Haseen Hai revolves around the story of a young couple Zain (Feroze Khan) and Mahira (Sajal Ali) who have raised a kid and seem to be struggling with the challenges of life since they married at a very young age. Both of them have their own dreams to follow and appear to be quite passionate about what they wish to achieve in life. Zain, wants to become a filmmaker.However, as their dreams ffect their relationship, the two part ways at some point and so goes the story.